Account Administrators can also designate certain groups of schedulers to only be able to schedule on behalf of specific providers. Account Administrators can manage group members, but will need to contact [email protected] to set up the initial relationship between groups. 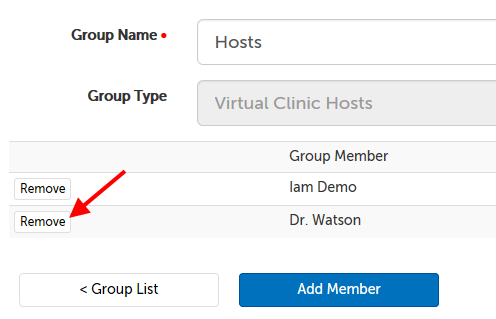 Please let us know which groups of schedulers should schedule for which groups of hosts, or list the user names so that we can create the groups for you. This support article will go over the process for adding or removing users from an Account Group. 2. 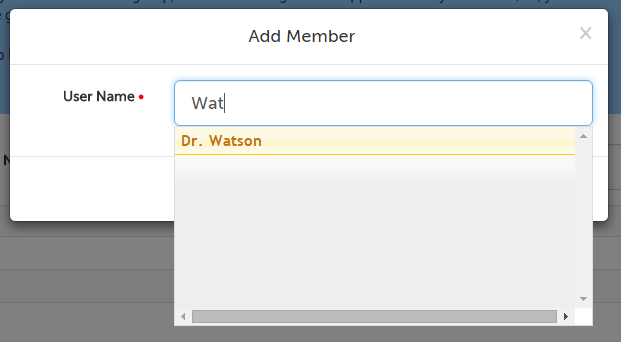 Click the "Edit" button for the Group you would like to add the provider to. 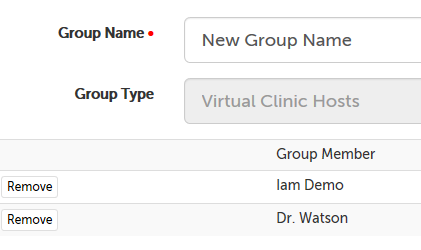 The group type should be "Virtual Clinic Hosts". 5. 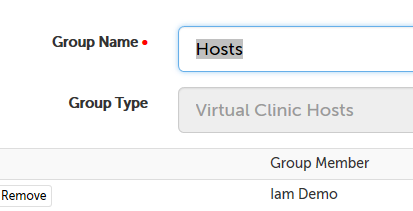 Their name should name appear in the list of Group Members, and will now be able to edit their availability and have that availability be seen through your booking page. This article was last reviewed by our Support Team on September 4, 2018.